Football is a game of inches, and for defensive backs, how many times do you see a touchdown made or lost by a simple distance of a football? You want to constantly remind your defensive backs that the closer you can stay to the receiver, the better! 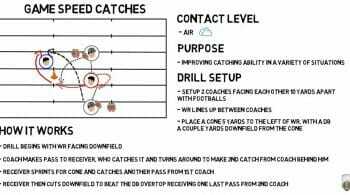 Once you have practiced the general technique for your defensive back to be In Phase and Out of Phase, and they understand how to press their opponent to the sideline, strip the ball, make up ground, read the receivers hands and make a play on the ball, it’s time to move on to the following drill. Check out these drills for working the In Phase Route for Defensive Backs! 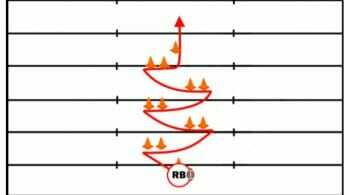 This In-Phase Route drill helps work on transitioning the defensive backs into being In-Phase. 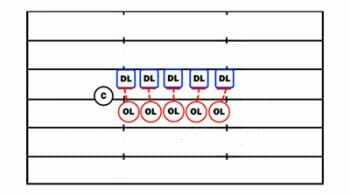 In-Phase means staying on the down side or field side hip of the receiver. In this drill set, we will be running four different routes, with the purpose of ensuring that your defensive back stays In-Phase throughout the entire route. The routes include Quick Out, Up, Post and Corner – all in the same drill. This drill begins just after the transition, with the defensive back In-Phase to the receiver in trail technique. As the passing game gets more advanced, very rarely is the receiver going to run down field and only do one thing. 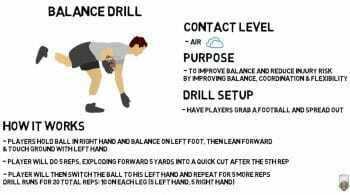 This is a more advanced drill that allows you to teach your young players how to transition their hips, get their feet underneath them and play a couple of different moves in one route.